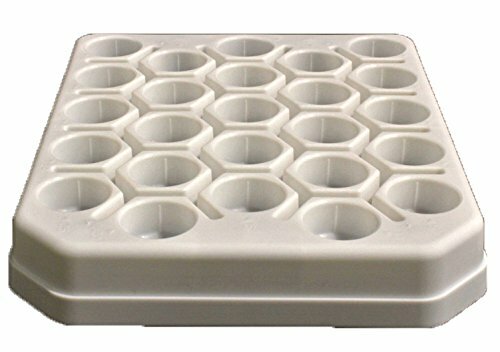 These 50 mL centrifuge tube racks from Jet Biofil are made of polypropylene and packaged in re-sealable bags of 5. They are for use with conical bottom tubes and perfect for supporting tubes during chemical reactions or when storing. Tubes will fit in racks with caps on! If you have any questions about this product by Jet Biofil, contact us by completing and submitting the form below. If you are looking for a specif part number, please include it with your message.